– Chan Brothers Travel Pte Ltd.
– Training and Staff Development and many more…. In her 20 years of work experience, she got huge expertise in all above areas of corporate services and has been entertained many customers and brands worldwide. Ms. Thung Sai Fun is still in the business to enhance her skills and knowledge by getting engagement with reputed brands and ventures in the industry. 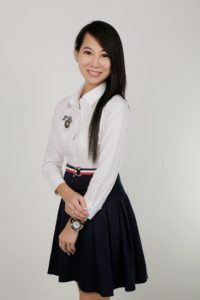 However, she has achieved good milestones in her career and wants to serve other companies in Singapore through her valuable experiences done in the industry. So, if you need expertise of any of above services in Singapore, do not be late to call “Ms. Thung Sai Fun” and get the job done easily! Send us an enquiry and get a first FREE consultation now! We are one stop solution to render result-oriented, reliable, efficient, and prompt services for all new companies in Singapore, and help them to stand on their feet as well as operate their businesses inthe country in a legal way. © Singapore Incorporation Pte Ltd . All rights reserved.